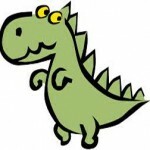 You are at:Home»Blog-News U can Use»Is your Organization the Next Dinosaur? Is your Organization the Next Dinosaur? I recently sent my daughter’s resume to a prospective employer and was quite surprised when he expressed concern about the fact that she had a number of jobs with different companies (Goldman Sachs, JP Morgan, Jeffries etc.). I didn’t react to it but suddenly realized that there was quite a generational gap between the people doing the hiring and the candidates. It is becoming painfully obvious to hiring managers that the values associated with work and career are radically different today than they were – and companies wanting a competitive advantage had better pay attention to that. Adam Grant (professor at Wharton) who has been very active on this issue predicts that “If Wall Street doesn’t change, it will be the next dinosaur”. Imagine an industry that had people planning their entire academic careers to ensure that they got in, now facing a crisis of epic proportions that may endanger its very existence. And all because they have not adapted and changed their Talent Management practices to ensure that the very thing that led to their success (a permanent, superior talent pool) does not disappear. How many people want to enter an industry where the first few years are expected to be miserable? We worked on a very similar problem for one of these financial firms when they were having a significant problem even attracting graduates to their booths – forget about getting them hired. It was quite a struggle to get executives to understand that the bank’s name on the booth was no longer good enough to attract talent. We had to revamp their entire hiring process but most importantly come up with a very creative on-boarding process and a very aggressive retention program (mentors, self- selected job rotations etc. etc.). They had lines forming up at their booths and a phenomenal success rate in attracting and retaining top talent. Gone are the days when graduates line up at the door because of the name. Successful Talent Management programs are having to fundamentally change their approach and thinking around the entire employment lifecycle. Meaningful work content is as important as meaningful compensation. The opportunity to get ahead is balanced by an opportunity to sleep (“by the end of their two years, they just want some sleep”). Working on the weekend conflicts with having a social life and finding a mate. Organizations that embrace this new reality will have people lining up and therefore enjoy a distinct competitive advantage. Previous ArticleFrom abC to Xyz to Extinction . . .One Can Only Hope! Next Article Does Your Brain Have More Gray Matter or White Matter? And Why the Heck Should You Care?